Melt-Banana is pretty much impossible to categorize, as their music is truly one-of-a-kind, but most people call them noisecore, which is kinda accurate actually. They’ve been playing their completely unique and crazy music for about 25 years now, they toured worldwide countless times, doing shows with the likes of Tool, Melvins, Napalm Death and Mike Patton‘s various bands and right now they are in Europe for yet another round of shows… including one in Budapest (check the tour dates here!). The last (and up till now only) time they played here was in 2010, so in the quick, last-minute email interview we did before the show I asked them mostly about what happened to the band during these seven years, but I also squeezed in questions about games, weird lyrics, guitar effects, split releases and Agata’s mask! Since your last visit in Hungary in 2010 you reduced your previous full band live line-up to the duo of the two actual core members, Yako on vocals and Agata on guitars. What were your reasons and how much did your live sound change compared to the times you played as a four-piece? Agata: There is no big reason, we just found it fun playing a show with a computer. Yako: In summer in 2012, we had no touring members and got an offer to play at one festival in UK which was called All Tomorrow’s Parties. We wanted to take part in it because it was curated by Shellac (sound engineer legend Steve Albinin‘s band) who is our favorite band and also we know them for a long time. So we asked if we could play using a computer and they said yes, so we started programming drums and bass to play the show. Agata: We look different from last time on stage since only 2 people are there, but I think we are loud enough compared to a 4 piece band. We bring many speakers to feel good for ourselves. 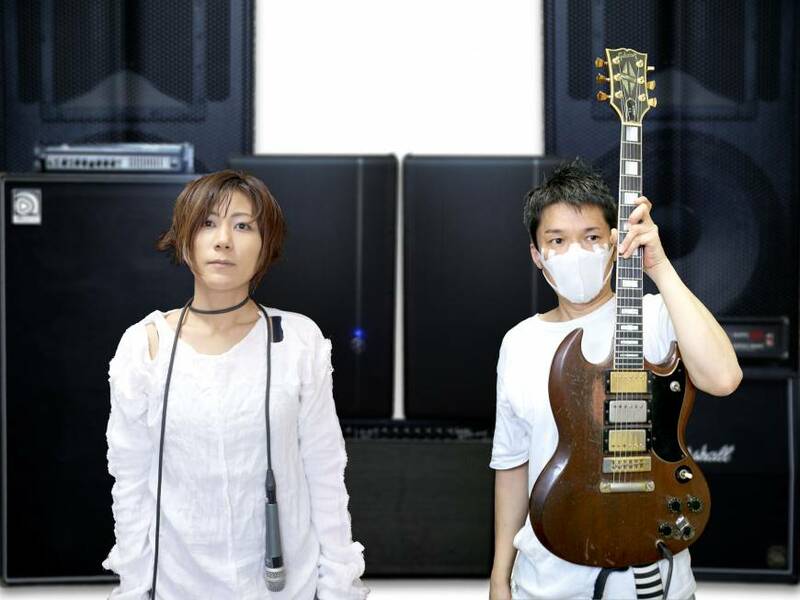 Is this new line-up somewhat of a continuation of the Melt-Banana Lite project, that you also did as a duo? Agata: Not really. 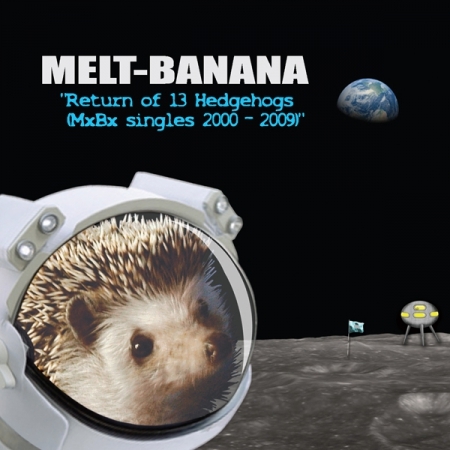 Concept for Melt-Banana Lite was doing something without guitar and bass guitar and actually we were playing shows as Melt-Banana Lite mostly with drummers in Japan. 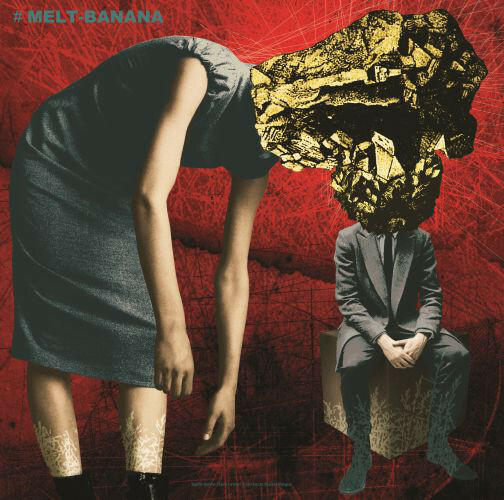 And Melt-Banana Lite live album is also with a drummer. 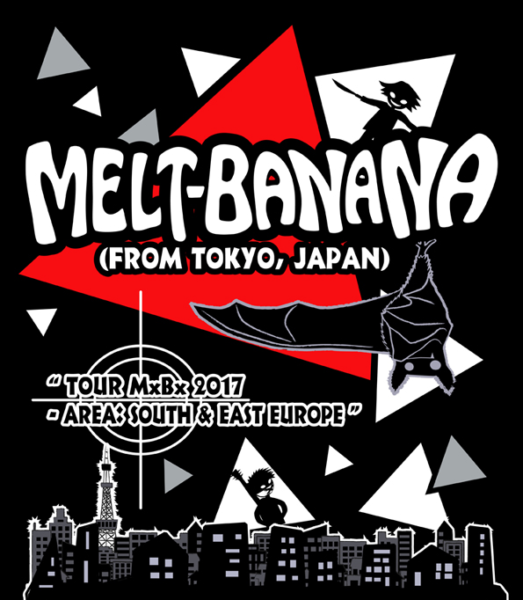 Yako: I think we noticed there are some possibility doing shows with a computer when we did Melt-Banana Lite using a computer. You were playing with different drummers all the time, but bassist Rika, even though she was only a support member, was with you for a long-time. What happened with her? Agata: Nothing happened between us, I have not met her for more than 5 years now. I think she is very busy with her own life. Earlier you released a new album every year or two, but it changed after Cell-Scape. Bambi’s Dilemma followed four years later, then it was six years till Fetch and now it’s also been four year without a new album since. What caused this change of pace? Agata: I’m not sure. It just takes time to write new songs that we satisfied with. Yako: We always try to do something new for ourselves. We have a lot of tracks that we had not put out and it is because we are not satisfied with those songs or they do not fit on an album. Agata: There are some good ones I think and we might release those on 7 inches in the future. You did a split 7″ with Napalm Death recently, how did that came about? 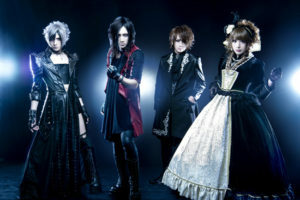 And can you also tell us about the other recent split with the band called Senyawa? Yako: We toured with Napalm Death and The Melvins in USA for a month in 2015. That’s how we met them and how it happened. Agata: Music on the split record with Senyawa was originally recorded for a 4 bands compilation, but it did not happen at the end and the label wanted to use songs for the split record. We already knew about Senyawa so we said we are OK with it. You did split releases with many excellent and very different bands over the years… Fantomas, Discordance Axis, Young Widows, God Is My Co-Pilot and so on. How do you choose the bands that you do split releases releases with? Agata: If we like the band and get a proper offer, we are happy to do it. Yako: We are proud of all splits we had done before. All other bands we did split are great and very good people. 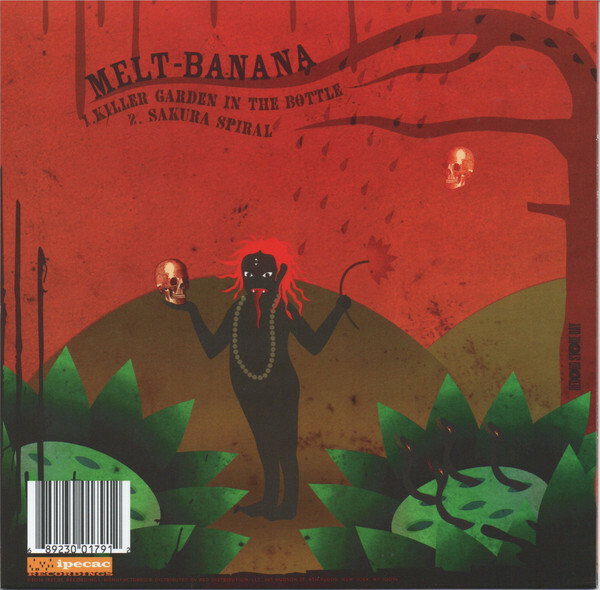 Yako, Melt-Banana is known for its very strange lyrics, that are always difficult to figure out. What subjects do you usually deal with and where do you draw inspiration from to write them? Yako: I just write what I see and feel in my usual life. Also I read English dictionary to pick words which sound interesting and has interesting meaning. And from the word I extend a story. I guess that is one of the reasons why people say my lyrics are hard to understand. Since I start from pronunciation and my story lyrics gets twisted often. Agata, you have an extremely unique style, that often seems to be more about pedals and effects than the guitar itself. How did you developed this style and just how many pedals and effects do you own and use? Agata: I started playing the guitar kind of seriously at the time I joined this band. Since I was a beginner, slide bar and effect pedals were very helpful tool for me. When we put out 1st album, I was using 4 or 5 pedals. Now on this tour, I’m using 8. I’m always try to use less than 10 pedals on stage. 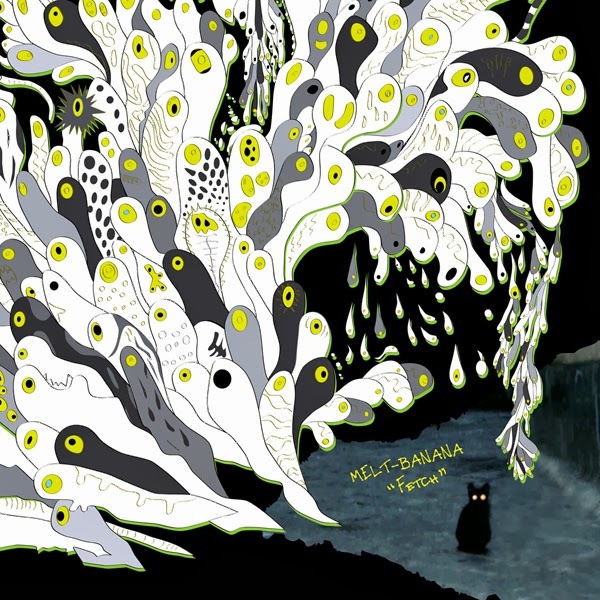 There are several Japanese bands coming from very different genres that seem to be more popular worldwide and play a lot more overseas than at home in Japan… like Melt-Banana, Mono, Acid Mothers Temple and some others. What do you think, what’s the reason for this? 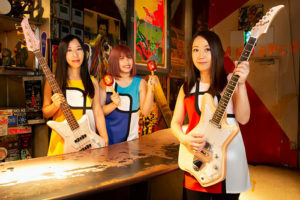 Yako: I think most of bands who write songs by themselves just want to see how foreign people feel when they see the show or listening to the music. And of course it is really good experience and we get good influence too to see other world. So do other bands, I guess. Back when you started out in the early ’90s Japan’s underground was full of totally unusual, extreme bands that played music unlike anyone else. How do you see today’s underground music in Japan? Are there still new bands that are as original as those old ones? Agata: I guess nothing has changed. There are still good new bands. You can check British writer Ian Martin’s book (Quit Your Band! Musical Notes from the Japanese Underground – I actually received my copy of the book today, so a review might be coming up sometime) or his blog. He traveled all over Japan by bicycle and searched Japanese underground music. You are known for being avid gamers. Even the email newsletter you used to run was often more about what games you play than actual band news. How does gaming influences your music and what are your favorite games nowadays? Agata: I just played a game called Metro 2033 / Redux because we are going to Russia for the first time this November and it was fun to play. Yako: I liked The Last Guardian. Agata: I think if we only like music, but not interested in games or movies or books or food or other things, we will only write the same kind of music again and again. So video games are one of the things that makes us think or see things from different angles. Did you already start to work on the next album and are you playing any new songs during this tour? Yako: We started writing some pieces for a new record, but I think we still need more time and we don’t play those live yet. Agata: We play a few new songs though on this tour. And the last question: What’s the story behind Agata’s mask? Why did you start to wear it all the time you go on stage? Agata: I needed to wear the mask on stage during the tour with Mr. Bungle back to 1995 or 1996 for health reason. And actually it is very comfortable wearing it and playing music. Now I wear this just for fun like a costume. But it is pretty normal in Japan to wear a mask, mostly because of pollen, so I am not sure if I can say it is a costume. Thanks a lot to Cudi Purci Booking for making this interview possible! « Karnage goes experimental on new release!